Oceania Cruises from Rome and Venice cruise itineraries are excellent options for those interested in visiting Italy’s ports. The Mediterranean itinerary typically include multiple ports of call around Italy. Its ships are considered mid-sized. Onboard is casual country club atmosphere. 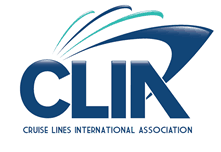 Many consider Oceania Cruises the best value luxury cruises from Rome and Venice. Specialty restaurants are included in the cruise price. And there are various amenities included with the price of the cruise, many times including airfare to Italy. For more about Oceania Cruises from Rome and Venice click the links below. ItalianTourism.us guarantees the lowest price and more amenities on all Oceania Cruises from Rome and Venice. Note: to review on board credit and amenities being offer click “check availability” and go through the process. After you select the stateroom you are interested the screen will display price. At the top of the screen below the “Pricing Summary” is a box labeled “Cruise Promotion/Offer” that will show on board credit. The ItalianTourism.us guarantee is we will offer a better deal on Oceania Cruises around Italy from Venice and Rome than you will get directly from the cruise line…. and better service too!